This chair will provide an eye-catching accent to your furniture collection. An interesting rolled back complements the rolled arms and turned feet for a hint of traditional style while the fun fabric pattern creates transitional style. Completed with welt cording, this piece will make a great accent in your home. 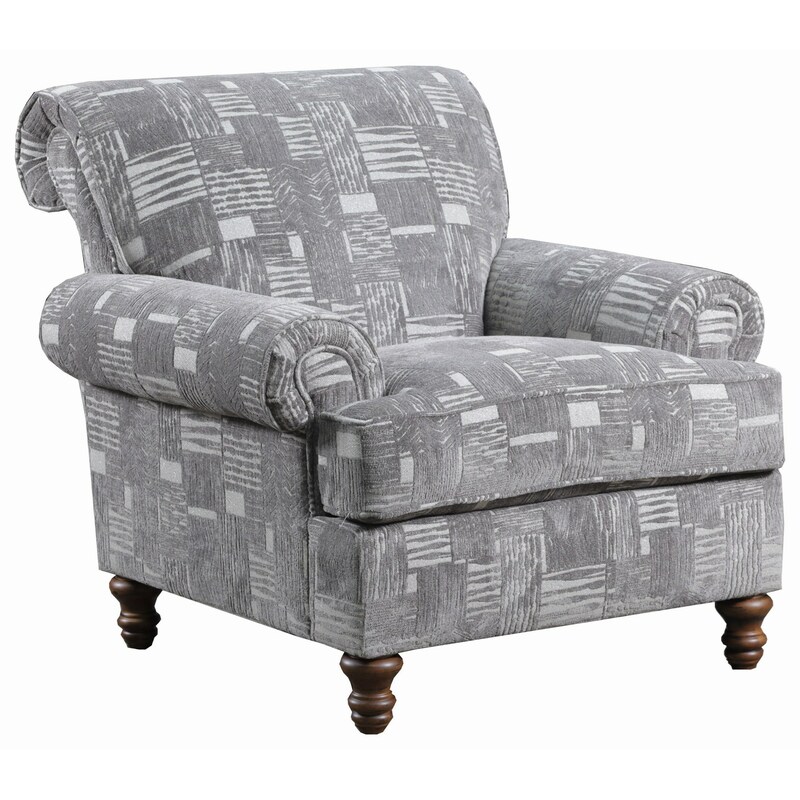 The 9255BR Transitional Accent Chair with Turned Legs by Simmons Upholstery at Royal Furniture in the Memphis, Nashville, Jackson, Birmingham area. Product availability may vary. Contact us for the most current availability on this product.